We have the programs, theater performances and field trips all the kids will be talking about. The Indiana State Museum and Historic Sites are a great resource for students when learning about the Hoosier state. 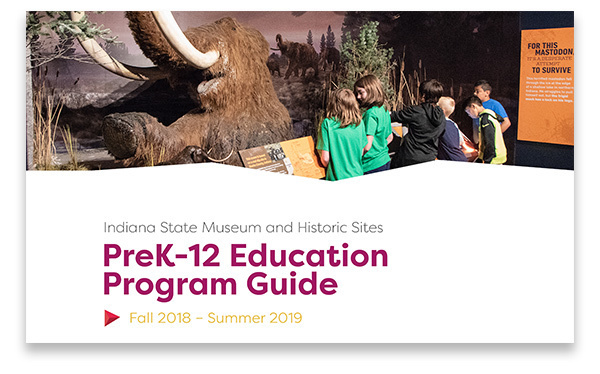 Review our new PreK-12 Education Program Guide to learn about our field trips, school and outreach programs, galleries, and special exhibitions. This year we've modified many of our programs to focus on hands-on learning and STEM opportunities. Our Educator Open House is a fun-filled opportunity for you to meet members of our education staff, see our newest experiences and learn about what we have in store for you and your students this year. This event is free for educators, but please RSVP. See you Sept. 29! STEAM is taking over the museum! Join us Nov. 1 for STEAM DAY, a museum-wide exploration of STEAM activities. A special design challenge will complement our Cardboard Engineering experience, where students will have a real-world challenge to solve using low cost/recycled materials. Through our Festival of the Violin experience, visitors get a closer view of (and opportunity to play!) 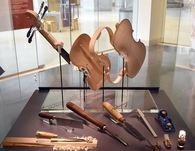 the violin. In this month's educator activity, these two activities inspire your students to create their own musical instruments. Schools with 40% or more students eligible for free or reduced-price lunches may qualify for free admission to one of our many science-based school programs. Those who qualify for free science programs may also receive free transportation. Applications are due by October 31. We've got the lesson plans--let us come to you! Our outreach programs include a variety of themes and topics tailored to your grade. Or, opt for a real theater performance held right in your classroom.